Three Risk Factors for Stroke Can Be Reduced by Fiber! 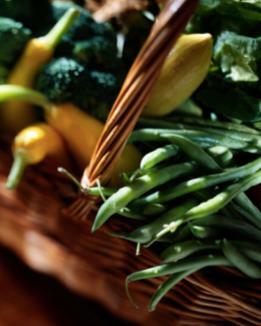 How Fiber Can Reduce 3 of the Risk Factors for Stroke! If you utilized “The Stroke Risk Assessment Tool” you noticed that 3 of the risk factors for stroke are cholesterol, diabetes and overweight/obesity. This article will show you how 3 simple steps to increase your fiber intake can help you lower each one of these risk factors. We’ve all been told that we need to increase the amount of fiber in our diets. The typical American diet has somewhere between 5-14 grams of fiber per day. In 2002, the Food and Nutrition Board of the National Academy of Sciences Research Council issued Dietary Reference Intakes (DRI) for fiber. For males between the ages of 19-50 it is 38 grams of fiber per day. For women in the same age category it is 25 grams of fiber per day. If you’re age is greater than 50, then the amount of fiber decreases to 30 grams for men and 21 grams for women. At best the typical American is only getting 50% of the needed fiber in their diet. Now, you might be thinking why would a bunch of scientists want to spend their time and your tax dollars worrying about how much we poop? The simple answer is your health. 4 Health Benefits Related to Proper Fiber Intake! Proper fiber intake may reduce your risk for heart disease, diabetes, cancer, and obesity in addition to being beneficial for treating or preventing constipation, hemorrhoids, and diverticulosis. Proper fiber intake may reduce 3 of the 8 controllable risk factors for stroke while still benefiting you in other health areas. Pretty impressive! Heart Disease. One of the ways the body eliminates cholesterol is through the excretion of bile acids. Water-soluble fiber such as pectin and fiber found in rolled oats helps to bind these bile acids. By increasing your fiber intake you increase the amount of fiber available to bind these bile acids. You also increase the speed at which they pass through your system. Cholesterol is one of the risk factors for stroke. Since there is a direct correlation between low blood cholesterol and a reduced risk of coronary heart disease, increased fiber intake is a first natural step in helping to control and/or lower your blood cholesterol. Diabetes. Meat, chicken, fish and diary products do not contain fiber. Dietary fiber is found in fruits, vegetables, nuts, and grains. This is also your main source for sugars which are carbohydrates. The more refined the carbohydrate the lower the fiber content and the higher the sugar effect. Diabetes is also one of the risk factors for stroke. Choosing high fiber fruits, vegetables, and grains will slow down the absorption of sugar from the small intestines into the blood stream. This helps to keep your blood sugar at a normal level. Insulin is used by the body to help regulate blood sugar. If you can regulate your blood sugar at the entry level then your pancreas doesn’t have to work as hard to produce insulin. Cancer. Your liver is your detoxification center. It uses bile to help remove these toxins from your system. As we have already discussed, water-soluble fiber helps to bind these bile acids for proper elimination from your system. Lack of fiber allows these toxins to sit in your colon longer. This provides a window for them to be absorbed back into your system. This increases your risk for colon cancer. Overweight/Obesity. Being overweight by more than 30 pounds is one of the risk factors for stroke. Fiber, by itself, has no calories. Combining water, with a diet high in fiber, helps to fill you up faster so that you eat less and potentially lose weight or at least prevent weight gain. In a Northwestern and Harvard University study of more than 74,000 female nurses, those who added the most fruits and vegetables to their diet lowered their risk for weight gain by 28 percent. Dietary fiber is found only in plant foods such as fruits, vegetables, nuts, and grains. It is that portion of the plant that is not digested by the enzymes in your intestinal tract. This insoluble fiber binds water to make your stools softer and bulkier. When most people hear the concept of increasing their fiber intake they immediately think about eating multigrain breads and a lot of lettuce. This is not what their culinary taste buds are going to get excited about. Plus, it is not the most effective way to increase your fiber intake. The following 3 steps are designed to be realistic so that everyone can achieve the goal of increased fiber intake and be able to do it long term. These steps will help improve your overall health and have the potential to reduce the risk factors for stroke. Step 1- Examine Your Diet. You like bread, cereal, pasta, rice, and maybe a vegetable. By making some simple changes you could drastically increase your fiber intake while still enjoying your same meals. This is a recipe for improved health while lowering the risk factors for stroke. Bread: 1 slice of white bread has .6 grams of fiber where as 1 slice of whole-wheat bread has 1.9 grams of fiber. Figuring two slices of bread for your sandwich, you just increased your fiber intake from 1.2 grams to 3.8 grams. For a creative change to the normal sandwich try Flatout Wraps. Their Harvest Wheat has 5 grams of fiber per wrap and some of their wraps can go as high as 9 grams of fiber. Go to www.flatoutbread.com for recipes and store locations. Pasta: 1 cup of uncooked pasta typically has 2 grams of fiber. Switching to 1 cup of Barilla PLUS pasta and your fiber intake increased to 7 grams of fiber. Add a 1/2 cup of tomato sauce on top and you added another 3 grams of fiber. What would have been a “5 grams of fiber” meal has now become “10 grams of fiber” with no loss in taste. For more information about recipes and store locations go to www.barillaus.com. Step 2- Add Fiber. There are a couple of simple ways to add fiber to your daily intake of food without adding loads of calories. This helps control your weight which is one of the risk factors for stroke. Just by making some simple changes in your food selection you could go from 9-15 grams of fiber to 30-61 grams of fiber. Just think of the impact this would have on your overall health while you are reducing the risk factors for stroke. Proper water intake is fundamental to this whole process of fiber intake. On the one hand, fiber can be extremely useful in preventing constipation. But, fiber taken in the absence of adequate water intake can also be binding to cause severe constipation. Proper water intake is the number one key to improving your overall health and wellness. Bringing in the proper amount of fiber with the proper amount of water will be a benefit to helping you achieve a higher level of wellness and lowering your risk factors for stroke. If you are not used to eating high fiber foods then make your changes gradually to allow your body to adjust. Anyone with a chronic disease should always consult their physician first before they alter their diet.